Comments: The young foliage is edbile, called poke salad. Other than the young leaves, all parts are posionous. It has large, green leaves, red petioles and stems. The juice from the berries was used in making dyes by native Americans. 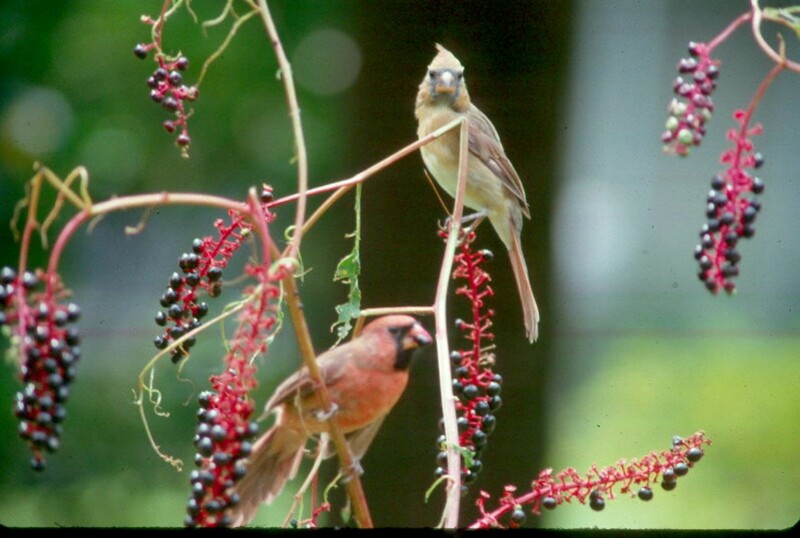 Birds of many kinds feed on the seeds and it is greatly used during migration.